I DON’T know about you, but the feeling that we’ve all been brilliantly played by President Jacob Zuma and his defenders is getting stronger each time I think about the events preceding and following the unceremonious removal of former finance minister Nhlanhla Nene from office, back in December. At the time, our world almost came to a standstill and the much talked-about tipping point seemed like imminent reality when Zuma resorted to his notorious “presidential prerogative” to pull the rug from under the feet of a well-respected finance minister. The rand went tumbling down the hill faster than one could blink an eye and billions were wiped off the JSE. Prior to his removal, the said minister had been very clear on two issues that had many people worried, with South African Airways (SAA) the first of these. Our national flag carrier was on the verge of being pushed further down a debt precipice by the politically protected chairperson of its board. This person, with no regard for corporate governance common sense, was seemingly driven by one obsession only: to reverse an approved deal with Airbus in favour of a suspicious one that would serve only her ego and still-undefined ends. The second issue was the nuclear deal, which the understandably prudent finance minister had assured the nation would only go ahead if the country could afford it, going on to promise transparency in the procurement process. But we know that would not depend on him alone. In the ensuing local and global reputational and financial backlash, the president only half backed down when, instead of reinstating the prudent minister whose agenda had been clear and in the country’s interests, he replaced him with the said minister’s predecessor, who had not made the same clear undertaking to the nation. This was after an unknown new minister – a four-day weekend special – had been rejected outright by both markets and the nation. Despite the much-publicised furore, it still took almost ten days for the replacement minister to get the SAA board to agree on doing the right thing. The nation and the markets had to wait that long, despite the clear and urgent need for reassurance, before SAA capitulated and implemented Treasury’s instruction to sign the Nene-approved Airbus deal. 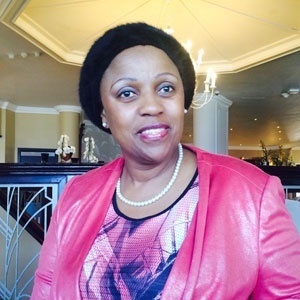 It seemed clear even then that Dudu Myeni, the politically protected chairperson of the SAA board, would move only when it suited her to do so – almost to prove a point. Almost a month since those momentous December events, no head has rolled at SAA. The obstinate, clearly incompetent wrecking ball of its chairperson remains untouchable and steadfastly in place. The embattled national airline – which can no longer be trusted to be run as a healthy, going concern – has now lost a crucial R250m short-term banking facility with Citigroup. This latest development leaves SAA with fast dwindling – if any – cash to fund its operations. Citigroup is reported to have made it clear that it would not reinstate the credit facility without a government (read taxpayer) guarantee. With the rand having fallen to its lowest level against the US dollar (R17.99 to $1 on Sunday), our embattled Treasury has never been under more pressure. As for the rest of us, it’s now clear that we’ve been had. But, typical of a people with short memories whose stomachs have been filled with pre-electoral happy meals and brightly coloured made-in-China caps and T-shirts in the form of a new/old finance minister, we have already forgotten what had brought us to the edge of the precipice in the first place. Finance Minister Nhlanhla Nene was clear; Finance Minister Gordhan has only been half-clear. The gifted political choirmaster has played his hand and won the day – for now – and so has his protégée at SAA, the reportedly feared board chairperson. Why are no heads rolling? SAA’s fortunes will never improve as long as no heads are made to roll and its captaincy is left in the clearly incompetent hands of Myeni and her current fellow board members. A clean slate is needed, for our sake and for the sake of the embattled airline. It needs more than just another turnaround strategy. Instead of being used as an employment agency for thousands of people with not much value to add, the national airline’s human capital should be trimmed down to realistic size. It also needs real aviation and business professionals – like the ones running Ethiopian Airlines and Air Emirates, two airlines whose brand images keep rising with each take-off – to save it from almost certain oblivion. But with a president who still doesn’t get it – having recently declared that he doesn’t understand all the brouhaha that followed his removal of Nene – our troubles seem far from over. The gullible, powerless taxpayer will once again be made to pay, to prop up the technically insolvent SAA and keep it in the skies artificially. Something has to give; heads must start rolling!